The global water challenge is incredibly complex and one that becomes more pressing as the world's population grows. Securing ample amounts of water, ensuring it's is secure and that it's supplies are resilient, is a major challenge across the globe. Managing the fragile balance between supply, demand and demographics is a critical infrastructure challenge and will continue to be in the years ahead. Depletion and intake characteristics of soil. Ability to determine seasonal efficiency and how changes in system and management could be improved. Ability to determine peak consumptive use for crops to be grown. Ability to establish peak daily, set period, monthly and/or seasonal consumptive use. Rooting depth at various times during season. Determining minimum flow requirements during period of peak consumptive use. Determining flow requirements required to complete irrigation during time period desired by irrigator. Determining when and how much to irrigate. Determining system improvements which would lead to better water management. The water market is making a shift to a more technologically driven approach as government and private bodies increase pressure to better manage usage, treatment and security. 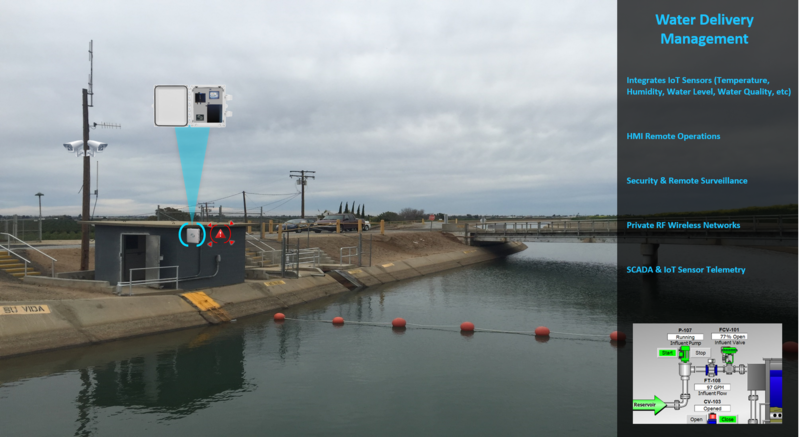 One of the ways municipalities and businesses are tackling these challenges is through using the Industrial Internet of Things (IIoT) to increase availability and security. 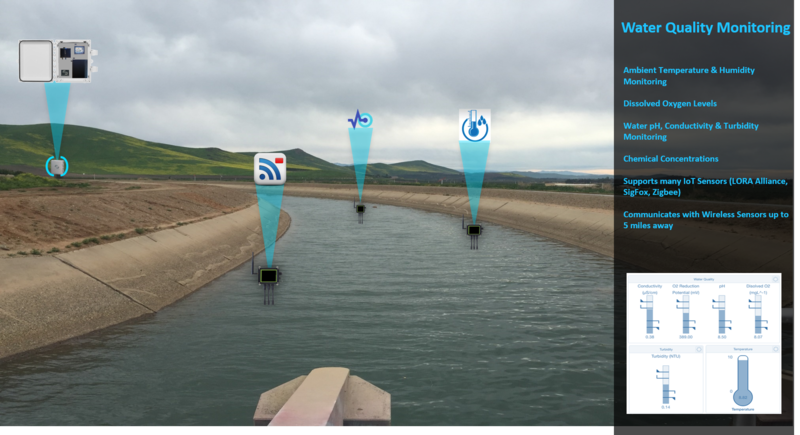 There are massive opportunities for IIoT through gathering data from sensors to do things like better manage flow during peak demand, only run pumps and blowers when necessary, and ensure water and wastewater facilities are secure. 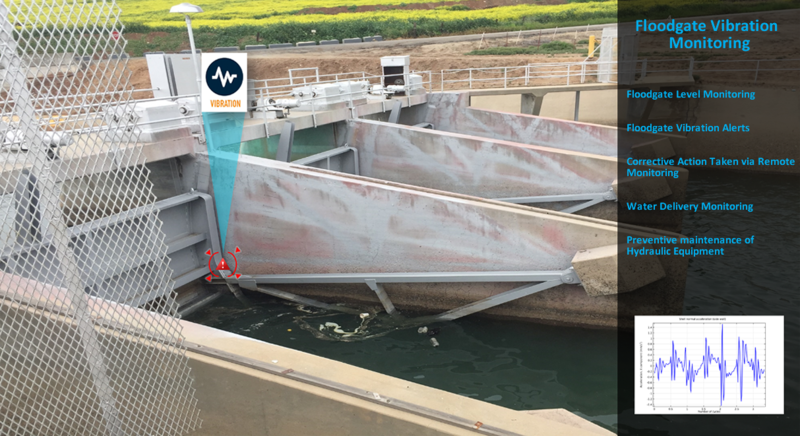 Zotera provides a comprehensive data collection and analytics platform to organize and react to vital information from sensors embedded across the water and wastewater ecosystem. The Zotera platform is hosted on a cloud-based infrastructure designed to integrate leading-edge tools for rapid deployment. 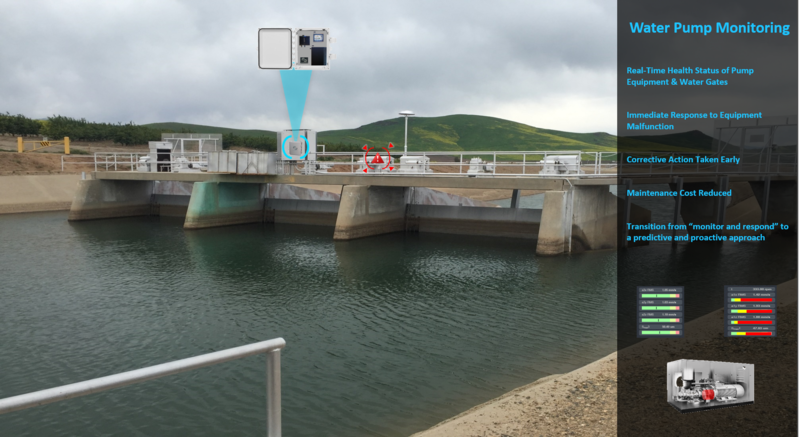 The Zotera platform leverages best in class software applications for remote asset monitoring, energy analytics and water security, and integrates these solutions through APIs. Zotera Analytics, the can inform operators which equipment can be turned down or off entirely, and which loads can be shifted to other time periods. By integrating all of this data, critical decisions relative to assets and facilities can be made at the right time and place in order to optimize security and reliability.